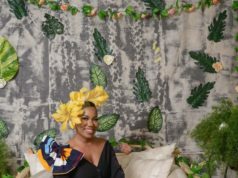 Home fashion news Meet the speakers for the 2018 Edition of Style Lounge. 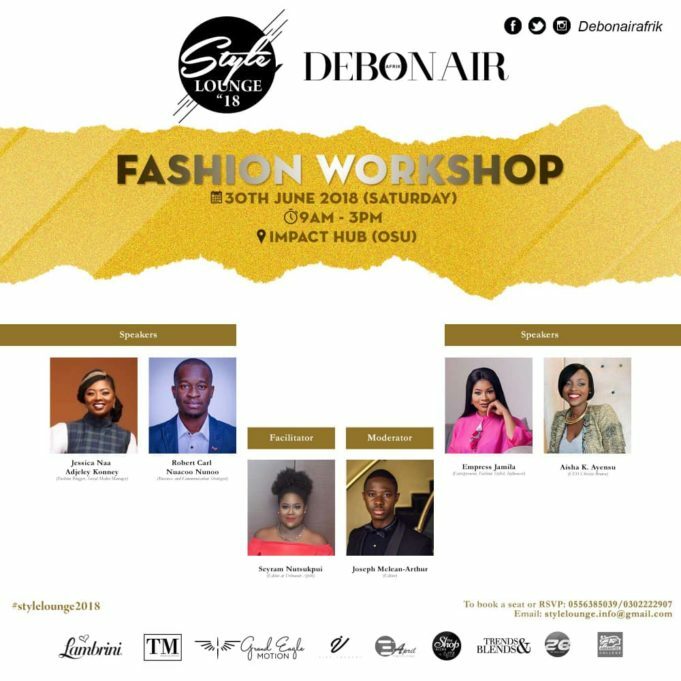 Debonair Afrik presents its annual fashion packed event Style Lounge 2018. Being the third of its kind, it promises to be more informative and business oriented. The 3-day fashion event begins on the 29th June 2018 with the Influencers Night at ‘The Shop’, Osu, the perfect opportunity for networking with ace brands in the fashion industry. Robert Carl Nuacoo Nunoo, a business and communication strategist currently working with the National Investment Bank after having completed his MBA in Strategic Management and International Trade. He previously obtained a Bachelor’s degree in Political Science from the University of Ghana. He has consulted in various capacities for companies such as Newmax Group, Africa 1media, Asmari Energy amongst others. Robert brings to the work shop a vase array of experiences in the business and finance sector. Jessica Naa Adjeley Konney, a renowned fashion blogger and social media manager with over 5 years’ experience. “Naa Adjeley” as she’s widely known has managed to carve a niche herself and now one of the most sought after fashion bloggers of our time. She holds a Diploma in Communication Studies from the Ghana Institute of Journalism and a Bachelor’s Degree in Social Work from the University of Ghana. In addition to blogging, she offers a full scale public relations and digital marketing services to lifestyle brands. She believes fashion goes beyond what one wears, but rather a lifestyle. 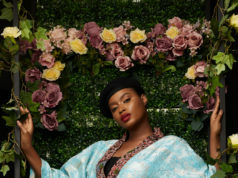 The CEO of Empress Jamila Ltd, Empress Jamila is the brains behind the 360 life and style company providing the best experience in grooming, styling, events and personal shopping for clients all over the continent. She has over the years worked in influencing international brands such as Mὃvenpick Ambassador Hotel and Vlisco. Currently the in-house stylist for the Despite Media Group, Empress Jamila is credited for the rebranding of the UTV media team, through sophisticated and polished styling. 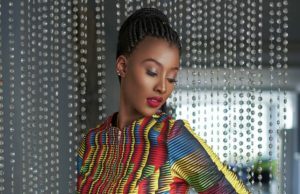 The Creative Director of Christie Brown, Aisha Ayensu has a solid brand in the fashion industry. She won the Emerging Designer of the Year Award in 2009 at the Arise Fashion Week in Johannesburg. She was the only Ghanaian to showcase at the Arise L’Afrique-A-Porter in Paris Fashion Week in March 2010. The final day offers all in attendance the best of established and emerging fashion brands showcase their designs. Next articleMEET JESISCAH, THE BEAUTY VlOGGER TAKING HER WORLD BY STORM!